Edging strip is designed for covering unfinished work surface edges that have been exposed by cutting. This grey stone effect worktop edging is great for application on our Ipanema Grey Stone Worktops that have been customised with cut-outs for sinks or hobs or simply being cut-to-size. Using PVA glue or a similar alternative, this Ipanema Grey worktop edge trim is easy to fit. Simply apply your glue to the grey laminate worktop edge trim and stick it to the surface where required. It can then be trimmed and sanded down gently to fit flush with the work surface. 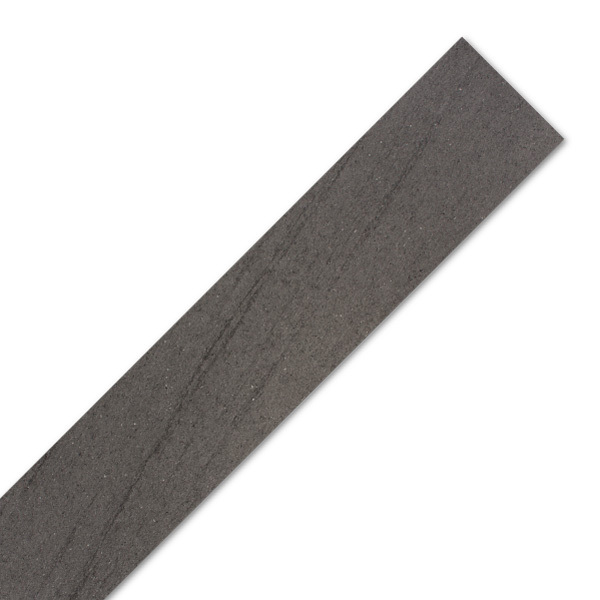 This laminate stone worktop edging strip measures 1530mm x 45mm but is easy to cut-to-size as necessary, and is suitable for use on a number of our laminate worktops.